Looking to sell a Hitachi digger or excavator? 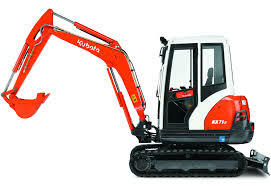 Do you have a Hitachi Digger or Excavator? 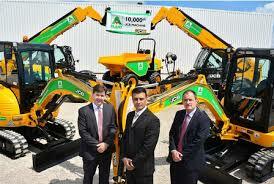 Looking to sell your Hitachi Digger or Excavator? If you have an old Hitachi digger or excavator for sale, then get in touch with Sell My Digger today. We are particularly keen to speak with anyone with Hitachi excavators for sale, and can offer reasonable cash quotes for your unwanted machinery. Of course we do accept many other makes and models, so don’t hesitate to contact us at Sell My Digger if you’re looking to offload an old digger or diggers from another manufacturer. We are the expert buyers of Hitachi Diggers. Hitachi construction machinery is hailed as the number 1 source of diggers, excavators and other construction machinery in the UK. Originally trading under the name HM Plant, the first Hitachi construction plant opened its doors in the UK in 1979, and the company has been providing top quality diggers and excavators ever since. Offering diggers of a variety of sizes and purposes, including mini and medium excavators, wheel loaders, large scale diggers, wheeled diggers and much more, it’s not difficult to see why this brand has been voted as the top UK supplier of excavation equipment in 26 out of 30 years of trade. So if you have any Hitachi diggers for sale, or other Hitachi construction machinery you no longer have a purpose for, then be sure to contact Sell My Digger today. We can turn your unwanted machinery into cash that can help meet your current business needs without wasting or scrapping any useful resources. Use the contact form on our website to tell us about the machinery you’re looking to sell, and we’ll get back to you as soon as we can with a cash quote. We cater to the whole of the UK and can take that digger off your hands in no time. Let us do the groundwork so you don’t have to! So if you’re looking to sell your Hitachi Digger or Excavator or If you have an old Hitachi digger or excavator for sale simply get in touch.